Edited by VFD13, 13 December 2015 - 05:59 PM. 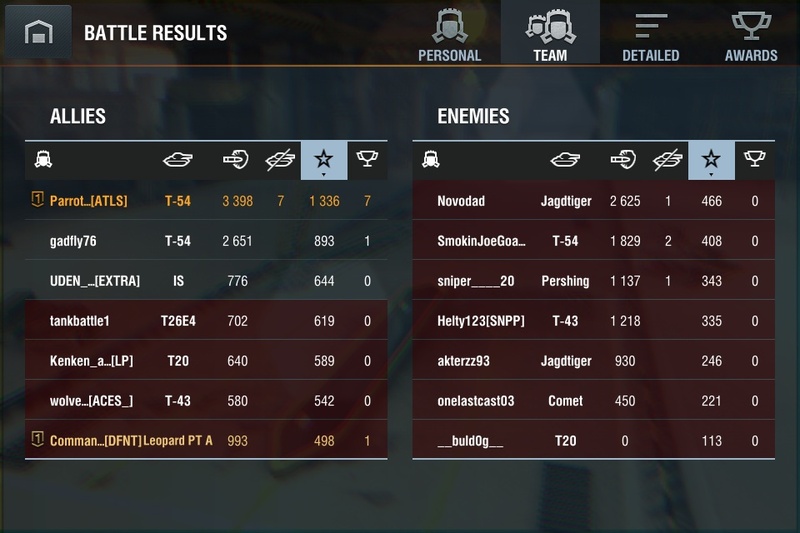 When I joined this clan 5 months ago, I was a 53% WR noob who thought the Maus was the best because it has 100% protection value. Since then, my WR has improved to the point where it is almost 60%. I have learned so much about this game and techniques and stragety.I meet so many great people along the journey. It has been a pleasure fight with, against, and along side you guys. But I'm sad to say, I have to move on. I have always thought of creating my own clan and hopefully, watch it become as successful as DFNT, RES, and ASYLUM. It has been a wonderful journey and I hope you guys the best of luck. you were always that one guy who was like me, no one special. 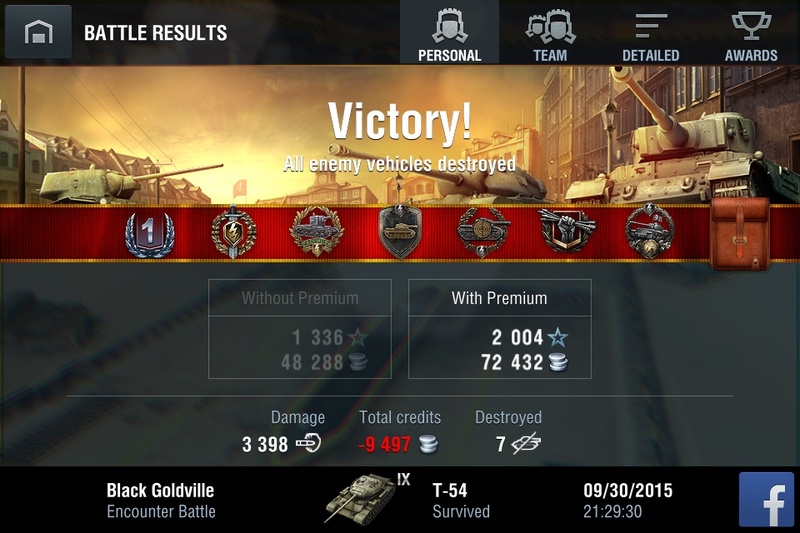 Then I found you on the forums ranting on about how you wanted a Type-59. When I joined defiant I was acually surpised to see you. Since then you've always been a good pal, and a funny clown. I'll be sad to see you go, and I wish I can join you. But my time has now come. So I bid you farewell, may luck strike you on the field, and the Type-59 comes to you. Do you think you can make a slight stat exception and let me join?? Depends, how major would this stat change be? I have 1900 average damage in Obj 140. Edited by VFD13, 25 November 2015 - 11:42 PM. yall got any open spots?? 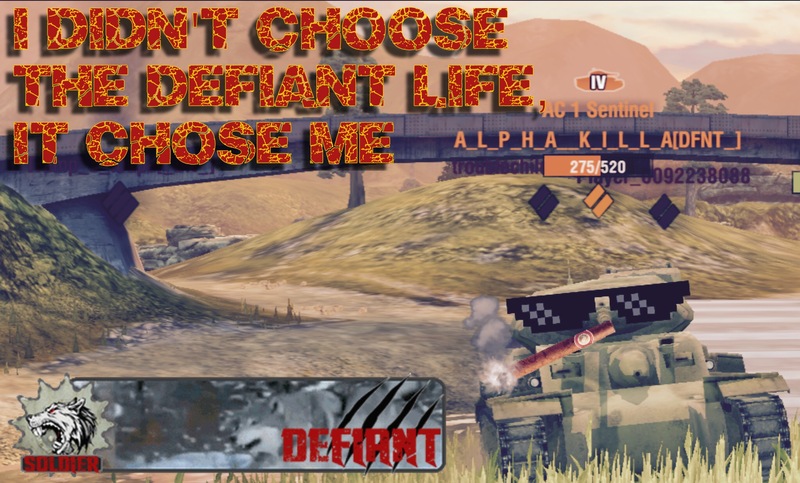 DEFIANT Web site http://defiantwotblitz.guildlaunch.com News and events posted weekly!